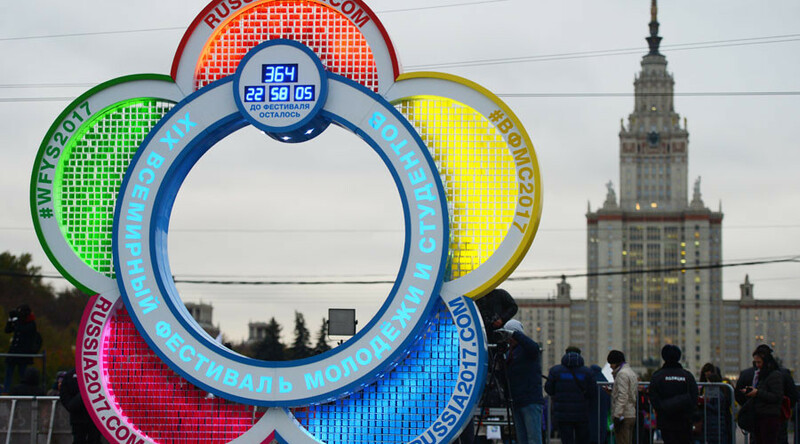 A symbolic clock counting down the hours until the start of the World Festival of Youth and Students has been launched at one of Moscow's main landmarks, as the country prepares to welcome thousands of the international event's participants. The 19th festival will be held next October in Sochi, after the southern Russian Black Sea resort was unanimously chosen as the event's host city by the festival's international committee. It is expected that some 20,000 young people will travel to Russia to take part. Musicians, athletes, journalists, scientists and leaders of various youth and political movements from 150 countries are expected to attend the festival, which has been organized by the World Federation of Democratic Youth (WFDY) along with the International Union of Students since 1947. More than 3,000 people gathered on Moscow's Sparrow Hills (Vorobyovy Gory) landmark close to the grand Moscow State University building to launch the clock. 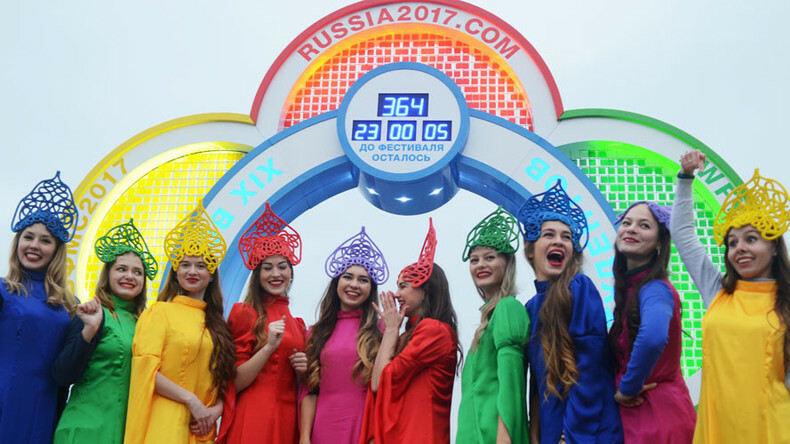 Similar countdown events have kicked off all around the country, from the westernmost Kaliningrad exclave to Vladivostok in the Far East.